Poor Huck. Now that the cat is out of the bag about his powers, he is quickly being swept up into a corrupt world that he doesn’t understand. Those forming around him want to use him for their own aims and gains, a particular and quite real type of evil in people. Still wanting to just do good, he may find it becoming increasingly harder to do so. He may find some help from a surprise meeting he never would have guessed, but considering how everyone else wants to use him, can we really not think this person won’t have an agenda too? 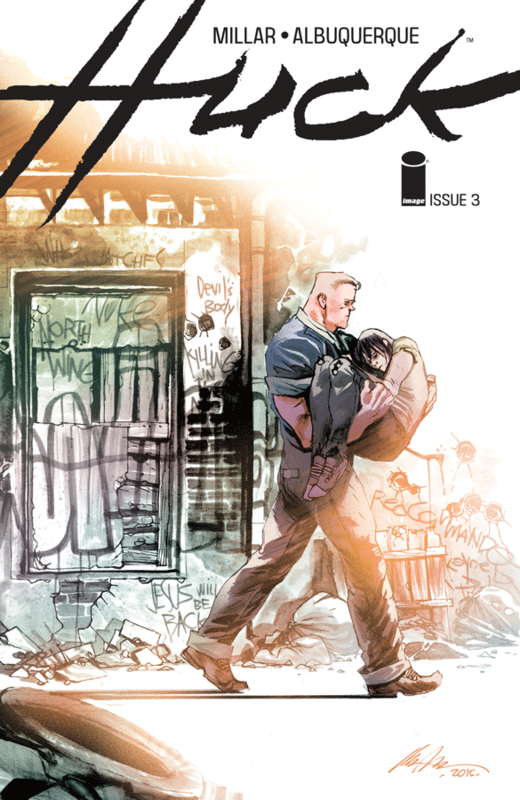 Millar always knows how to bend genres in whichever direction he wants, which is exactly what he is doing with Huck. While it is a superhero story, it is a powerful story about how its human nature to twist a power into whatever we want, because we can.